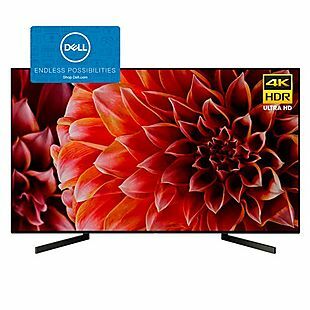 Get this Sony 49" 4K HDR Smart TV (model XBR49X900F) for $999.99 with free shipping and a $200 eGift Card at Dell. 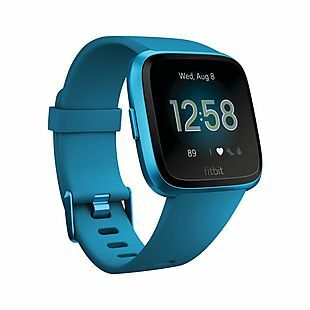 This matches the best price online, but the addition of the gift card makes this the strongest offer. This TV displays up to 4K Ultra HD resolution and has a native 120Hz native refresh rate. It also features WiFi with built-in Chromecast for streaming entertainment and voice control. Sales tax is charged in most states. 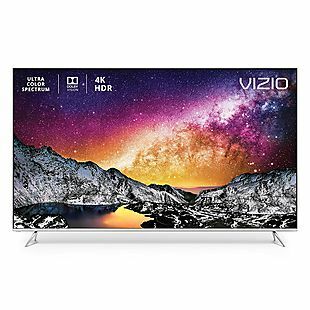 Get this Vizio 120Hz 55" 4K Smart TV (model P55-F1) for $699.99 with free shipping and a $200 eGift Card at Dell. This matches the best current price online, but the addition of the card makes this the strongest offer. This displays content up to 4K Ultra HD resolution and has a native 120Hz refresh rate. It also has built-in WiFi for streaming content from the web, such as Netflix and HBO Now. Note: The gift card is noted in the shopping cart after you add the TV, and it will arrive separately via email. Sales tax is charged in most states.